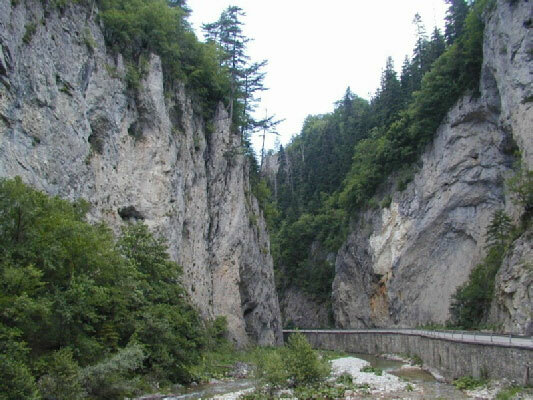 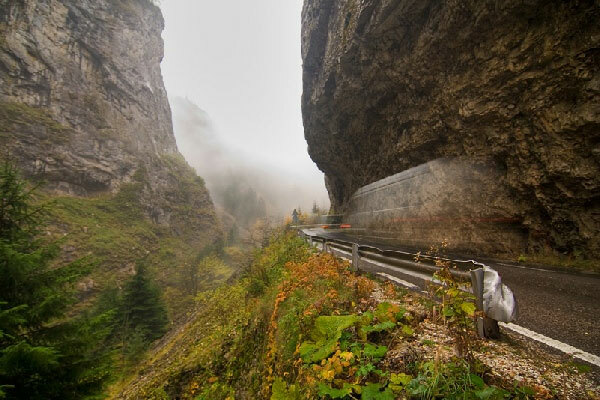 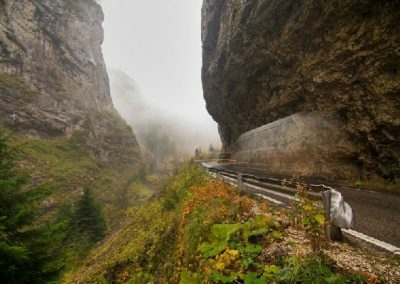 The Trigrad Gorge is 1.2 kilometres (0.75 mi) from the village of Trigrad at 1,450 metres (4,760 ft) above sea level and has a total length of 7 kilometres (4.3 mi), of which the gorge proper comprises 2–3 kilometres (1.2–1.9 mi). 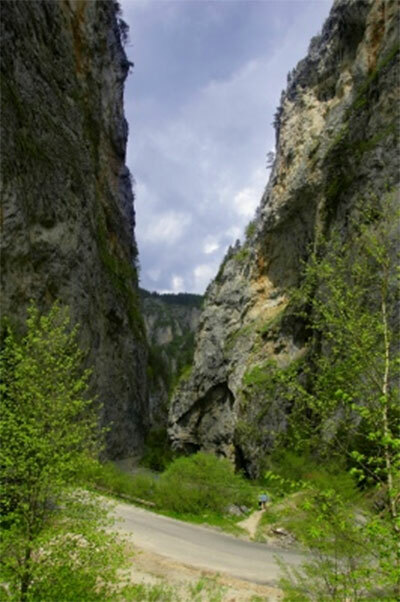 The gorge encloses the course of the Trigrad River, which plunges into the Devil’s Throat Cave and 530 metres (1,740 ft) further emerges as a large karst spring. 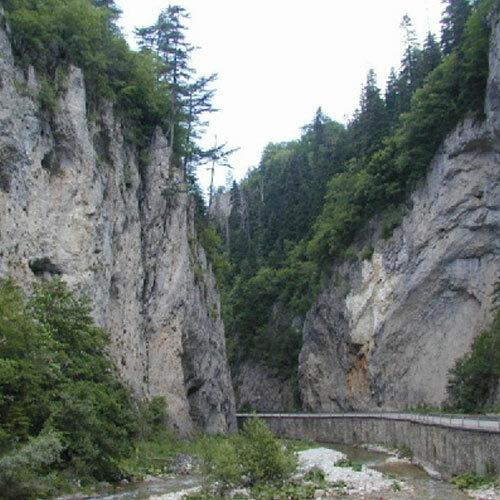 It later flows into the Byunovska River. 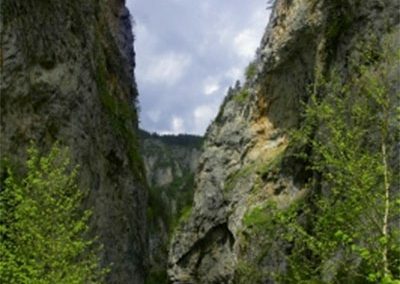 The gorge’s west wall reaches 300 metres (980 ft) in height, while the east one extends up to 300–350 metres (980–1,150 ft). 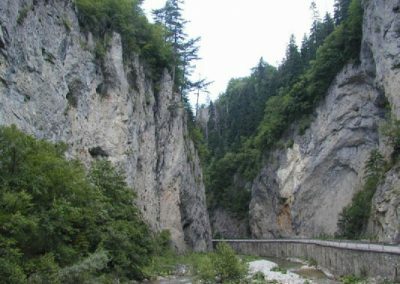 Initially, the the two walls are about 300 m apart, but the gorge narrows to about 100 metres (330 ft) in the northern section.